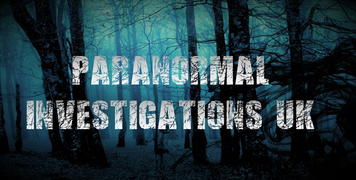 We do aim to provide almost everything for your Paranormal Investigation event but we do advise you bring with you the following. Please refer to the list and notes below. This list should not be considered exhaustive. Item To Bring To Events & General Advice. 1. Mobile phone. We will ask for the mobile phone to be either turned off or placed on flight mode once the event starts, this is due to interference issues with electronics. If you need to be aware of any important calls please advise us at the event and we can help you then. You are able to use the phones camera on flight mode. Not all venues have electrical outputs so charging may not be possible. Save 0775 183 0956 in your phone. This is for CCTV Station. 2. A camera or your mobile phone on flight mode fully charged. You never know what you might capture! 3. Torch. We do not supply torches but a small LED torch can be purchased from us. Areas are often unlit and a torch is handy for toilet visits. 4. Warm clothing & suitable footware. Even in the summer the temperature can become very cold at night. Have with you appropriate clothing to cater for a mix of temperatures and conditions. You are able to leave coats and clothing at CCTV Station. 5. Medical Advice. Please refer to our Terms and Conditions concerning certain medical conditions. If you suffer from any condition that you feel we should be aware of, for example epilepsy, diabetes etc, please tell us when you book and tell your Investigator so we are aware and we know who to contact should an emergency arise. Your well-being is important to us. If your unsure tell us anyway in confidence. 6. Vehicle Security. Please do not leave items on view in your car and please secure your vehicle. 7. Drinks & Snacks. We do aim to provide hot tea & coffee but this is dependant on the location. A flask or your chosen drinks as well as light snacks do come in useful!. Events are at least six hours long. 8. Any equipment or items you like to use such at paranormal events such as pendulums, dowsing rods. Please let us know about any findings.